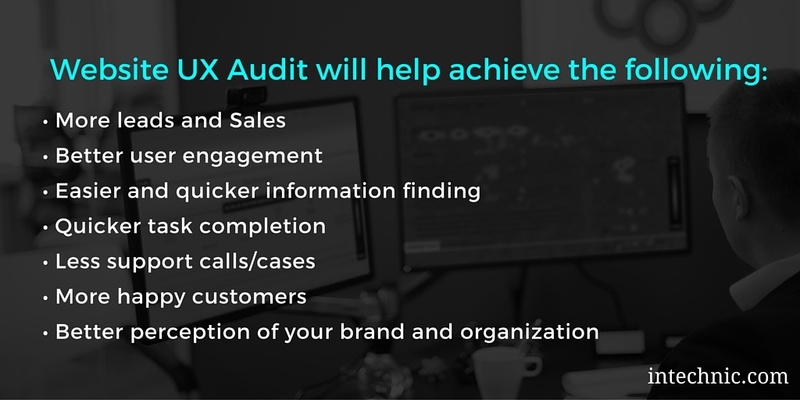 A UX Audit will solve problems quickly and deliver a huge ROI. After a sizable investment and 9 months of collaboration with their agency, a company deployed a new corporate website. Their primary objective for the site was to generate 20% more sales inquiries, which was supposed to result in an 8% boost in sales. Because the company generates $120M in annual revenue, the projected ROI was sizeable. Three months after the website was deployed, VP of Sales John spoke to Susan, the Chief Marketing Officer, about the number of leads (sales inquiries). John pointed out that the numbers were absolutely flat, which was not what he had been promised. Something had to be done about it. Susan spent the next two weeks trying to figure out how to fix the problem. 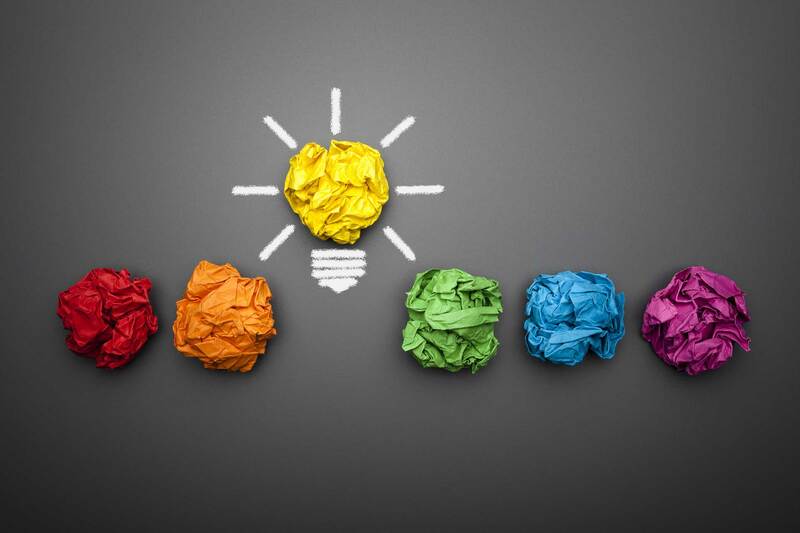 She brainstormed with her team and came up with a list of ideas based on the team's opinions and assumptions about why the website was underperforming (note that no objective measurements or analysis took place; they simply came up with a “laundry list” of items they thought might improve performance). Next, she spoke to the website development agency that built the website and they went to work “tweaking” it based on these ideas. She assured John that the agency was working on the “tweaks” and he should soon see better results. One month after the tweaks were implemented, lead flow remained flat. 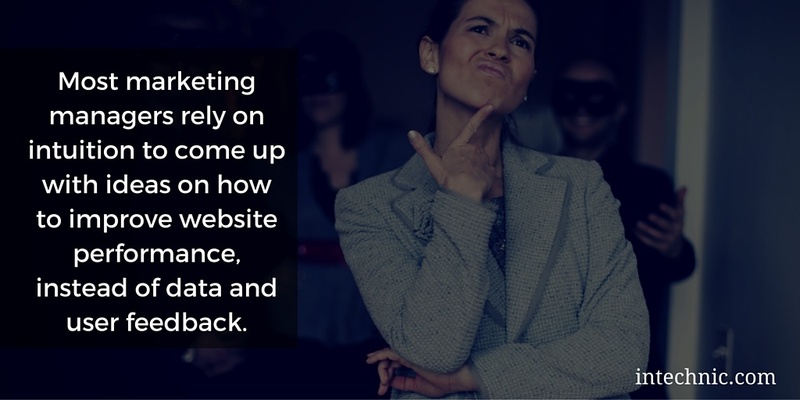 The CMO faced 2 options: declare that, while the website had a much better “look and feel”, they had reached the maximum performance, or continue looking for a solution. Since a solution did not present itself, they kept the status quo. Several months later, Susan attended a conference where she ran into a colleague, Tim, who had experienced a similar problem, but he had found a solution that resulted in a substantial ROI. Before his new website was deployed, he read about the science of user experience (UX) and how it could improve website performance. 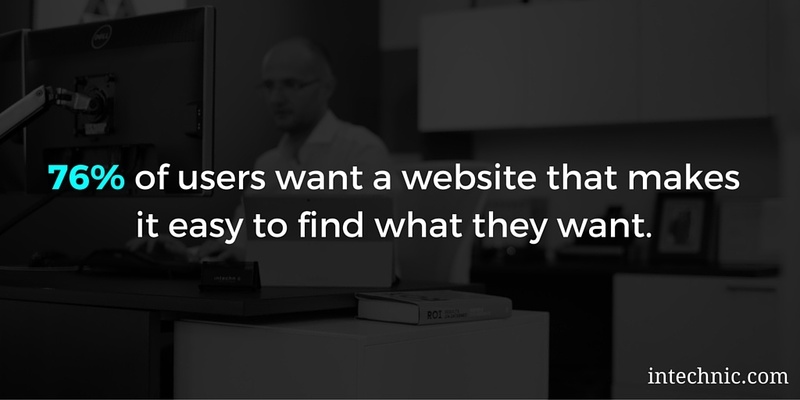 When his new website failed to produce results, he turned to UX experts for help. In less than 2 months they delivered a massive increase in lead flow. 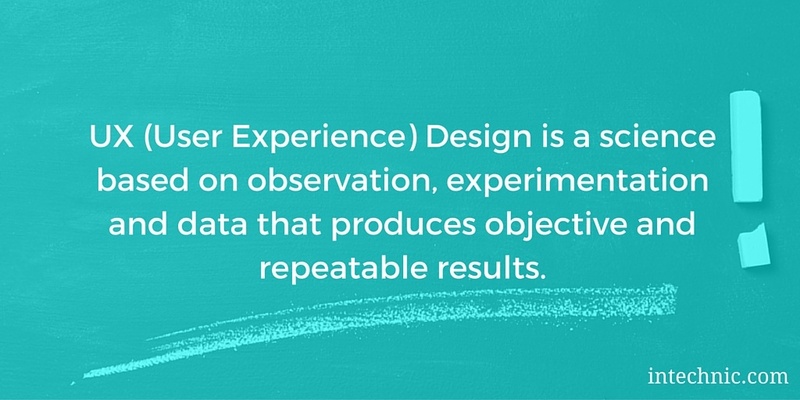 UX (User Experience) is a science based on observation, experimentation and data. It produces objective and repeatable results. UX experts observe website users and design an experience that accomplishes both user and business objectives. 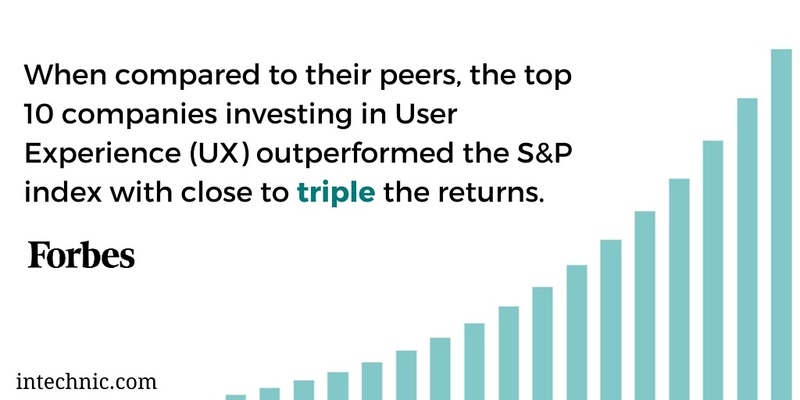 While non-UX designers and developers only guess, UX experts improve website performance by creating an alignment between the business and the visitor using the website. Experienced UX teams follow a well-planned, scientific process which is divided into two phases: UX Evaluation and Usability Testing. 1. Value proposition — what is the perceived benefit in the visitors’ minds and does it outweigh the cost of the action the website is asking them to take? 2. 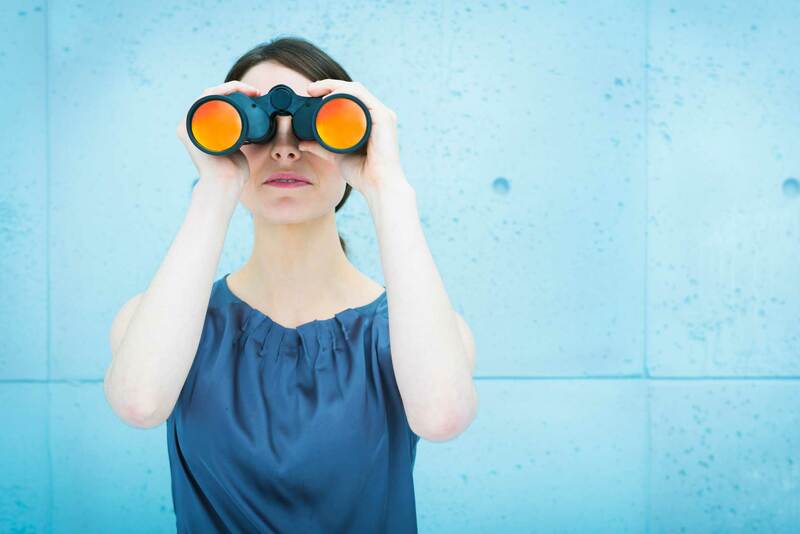 Relevance — does the content clearly match what visitors expected to see? A mismatch in content and expectation is the primary driver for the bounce rate, the measure of abandonment after visiting just one page. 3. Clarity — is all of the content written so that the visitor can easily comprehend it? Do they intuitively understand the value proposition, the main message, and call to action? 4. Anxiety — what elements and information on your site may cause uncertainty? 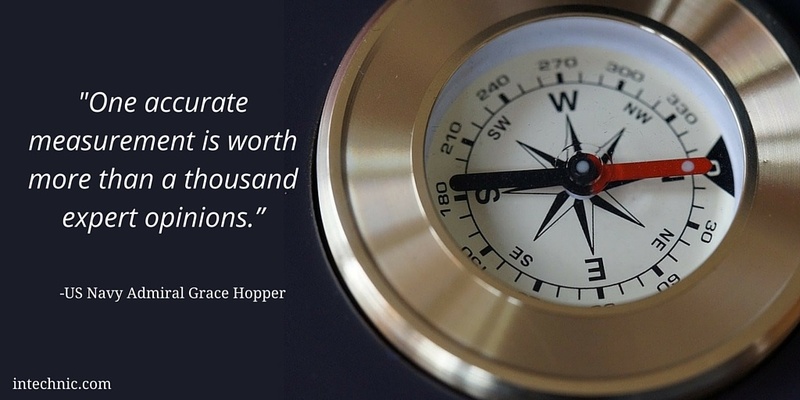 What elements and information is missing from your site that causes uncertainty? 5. Distraction — are elements and information on the website helping or distracting from your business objectives? Are elements and information on the website helping or distracting visitors from accomplishing their objectives for the visit? 6. Urgency — do you give visitors solid reasons – offers, incentives, language that points to scarcity – to take immediate action? 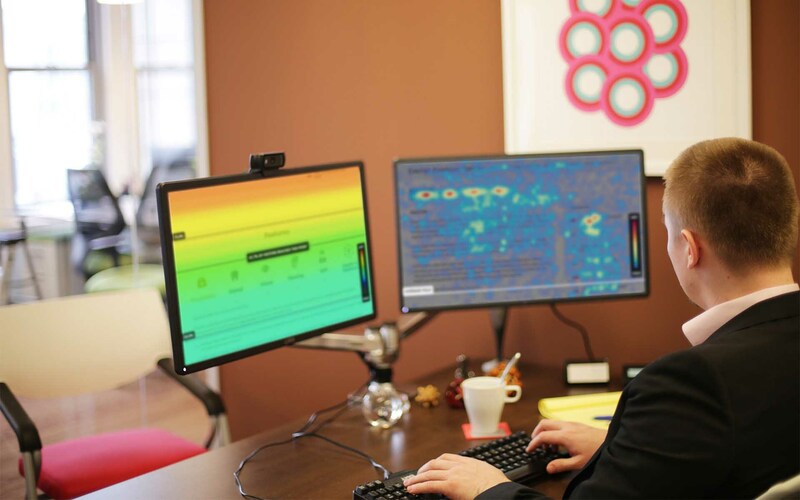 Next, they connect the website to a set of various diagnostic tools that anonymously track user behavior and website performance. For a period that may range from a few days to a few weeks – depending on traffic volume – these tools gather data to be later analyzed. Studying various metrics and analytics along with heat-maps, scroll-maps and recorded user interactions signals potential problems with the current website. 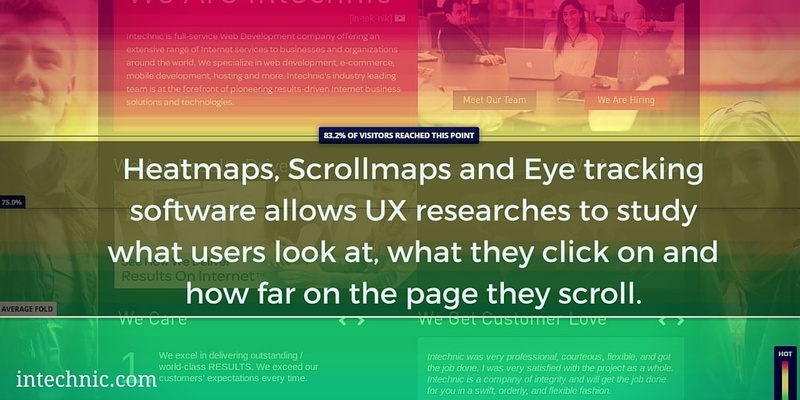 While UX Evaluation will signal potential problems with your current website or application, usability testing with real users will explain the issues. 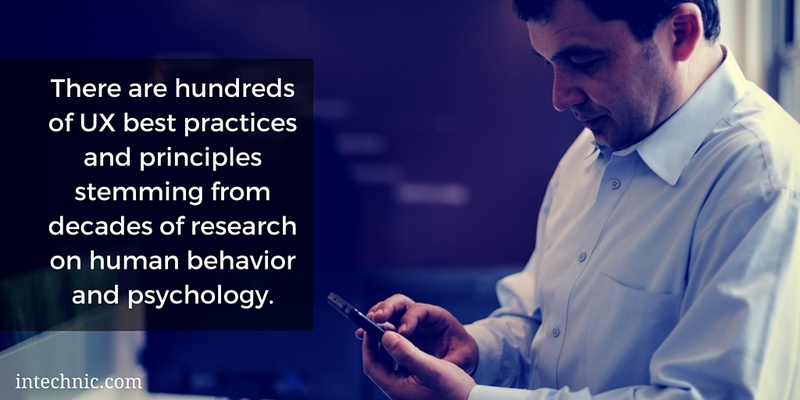 In the Usability Testing phase, UX teams test user behavior hypotheses with real users, to prove beyond a doubt what causes the friction points and cognitive overloads that lead to low conversion. Conversion is a measure used to indicate the percentage of visitors who take the required action, such as placing an inquiry. 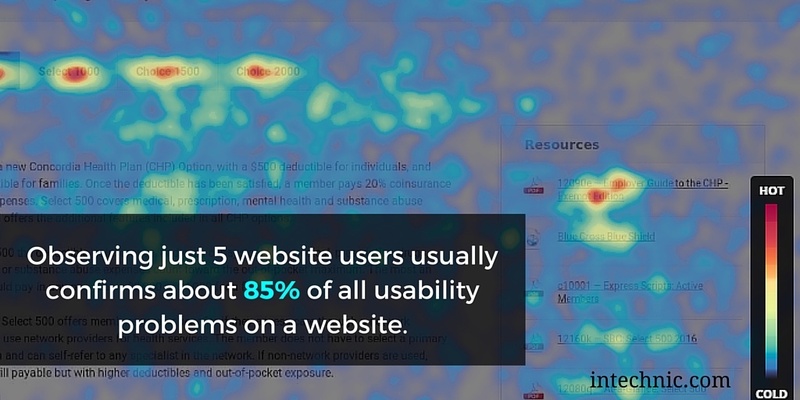 In essence, here the dots are connected to make a data-supported case for improvements to the site. The deliverable is a report that outlines the issues they have uncovered, each supported by facts rather than guesses or opinions. 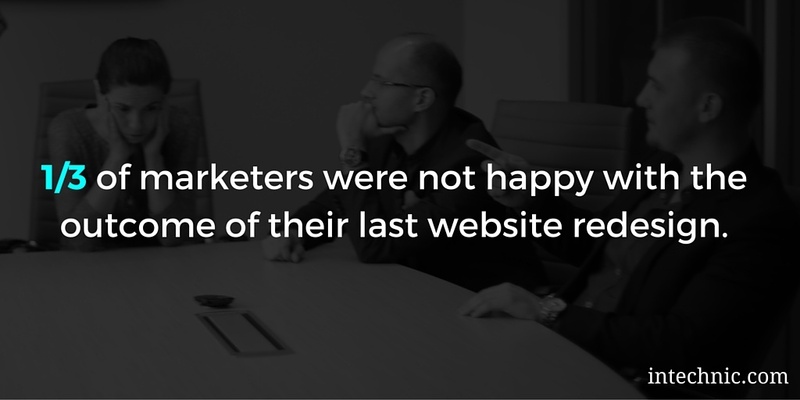 They reveal exactly what works and what must be fixed to improve website performance. In their assessment of Tim’s website, UX experts compared both the business and user objectives, looking for misalignments. They uncovered many and the results were truly eye-opening. Tim was able to use real data based on observation and measurement, rather than guesses and opinions, to quickly update the website and substantially increase lead flow. A capable UX design team can turn the findings into improvements on the website usually within days or few weeks, depending on the severity of the problems. After the fateful meeting with Tim at the conference, Susan hired a UX team to conduct a user experience audit. Two weeks later, she received a report which clearly laid out 47 points indicating where visitors got stuck, could not make a decision, could not find the information they were looking for, were unsure about what step to take next, and, in many instances, simply left the site, thus never giving the company an opportunity to start a conversation. It took less than 4 weeks and under $10,000 to work through and eliminate these issues. In the following 30 days, website lead flow increased by 12%. Susan went back to the UX team to request that they run a follow up user experience audit. This one revealed 12 issues that were not previously discovered in the first test. These were addressed and resulted in yet another 5% increase in sales inquiries. The overall increase of 17% in lead flow resulted in additional sales of nearly $9 million over the following 12 months. 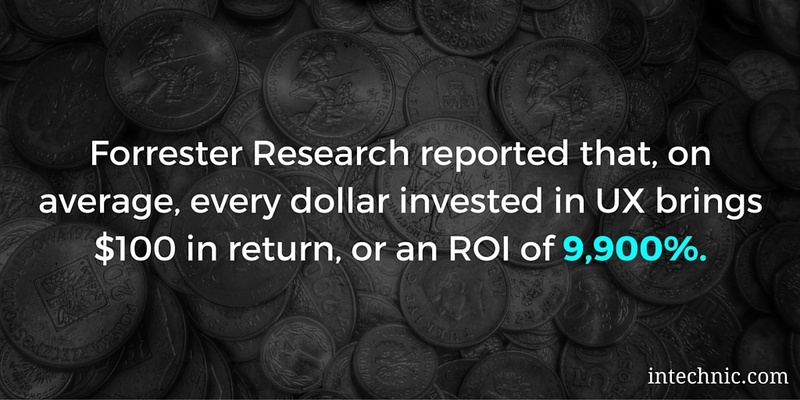 That’s a gross ROI of 90,000%. It’s much cheaper and faster to fix problems on an existing site – unless the technology or design is too outdated – than to build a new one. You pay for website traffic regardless of how you promote your business because nearly 100% of all prospects check out the website before deciding to engage with you or not. Improving your site increases conversion, brings in more customers and lowers the cost of acquisition. This may sound a bit shallow, but turning up performance of your website will often make you the hero of your team. Imagine what it would be like to turn a failing site into a high-performance site in just 4-6 weeks. Of course, it’s easier to do nothing, but I urge you to take action. We can help. Our firm, Intechnic, has a UX team that is led by Andrew Kucheriavy, the 9th person in the world to be awarded Master UX Certification, and regularly consults the world’s largest brands on UX. Every month we accept only 4 new clients for user experience audit, and there is usually a wait of 2 weeks to start evaluation due to limited availability and the guaranteed nature of what we offer (more on that later). The process begins with a 15-minute discussion of your challenges and an overview of the website. This helps us make an initial determination whether we are the right fit, as not every website qualifies. If we have a strong case for conducting a user experience assessment, we will outline a plan of action similar to the process explained above, but tailored to your specific situation. Once the assessment is completed, one of our experts will actually walk you through every issue causing lower conversion and make recommendations how to fix them. You will also receive a comprehensive report that you can share with your team to make the case for improvements (Download a sample report here). Remember that we accept only 4 new clients per month. 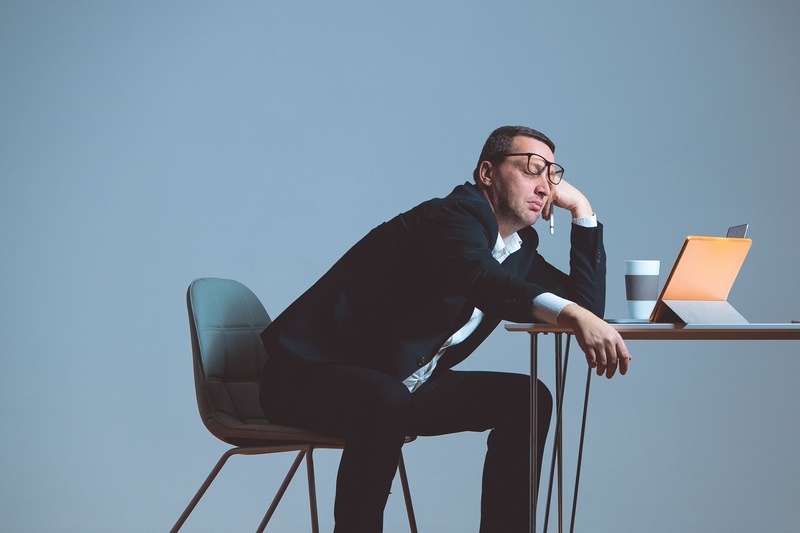 I know that you have a full plate, but do not read this article and set the idea on the back burner because of the daily grind. Take action today, so you can show results in a few short weeks. Sasha Berson is the President of Intechnic. He works with mid- to enterprise-sized clients, helping them conduct research and develop strategic solutions for marketing, sales, and other organizational challenges. Prior to Intechnic, Sasha co-founded a multi-billion-dollar funding corporation. Over the last 17 years, he has helped companies develop business and team development skills, solve tough organizational problems, develop systems, and deliver results.